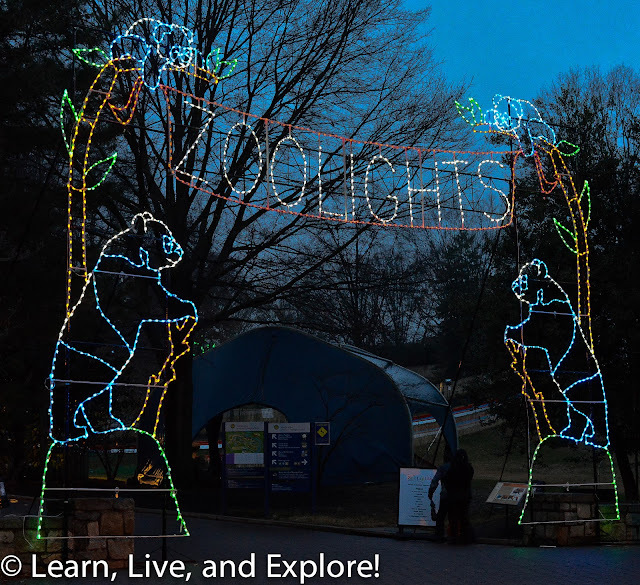 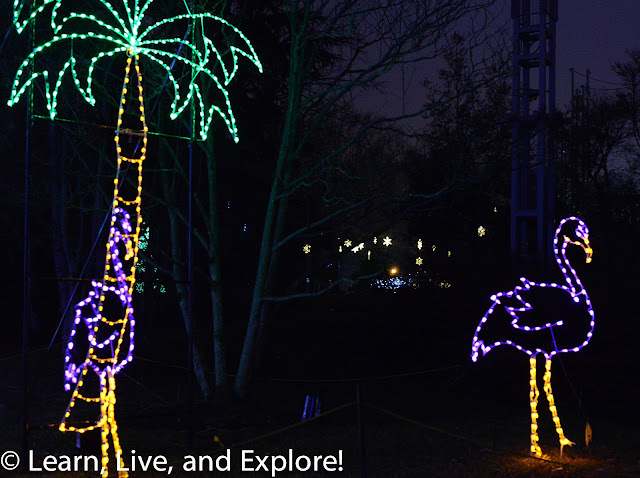 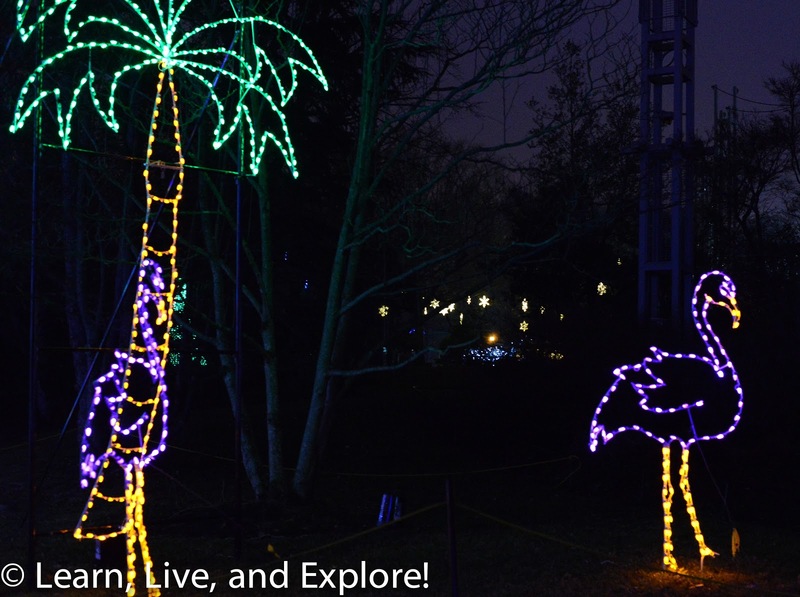 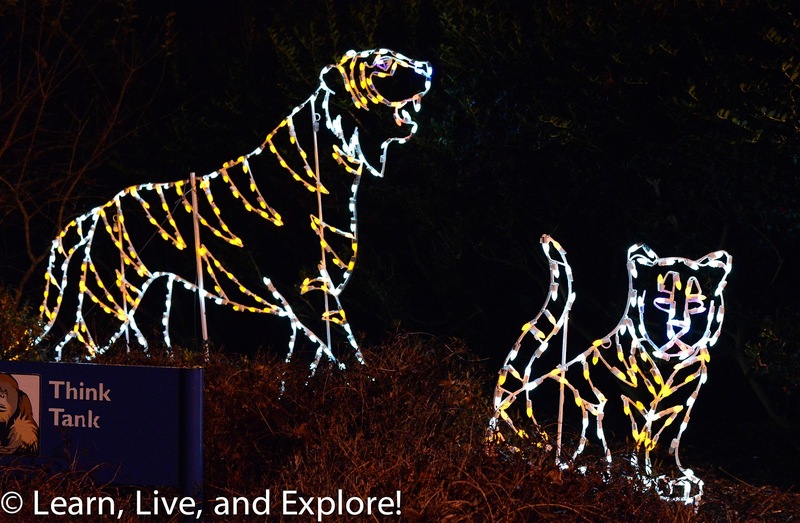 Zoolights at the National Zoo ~ Learn, Live, and Explore! 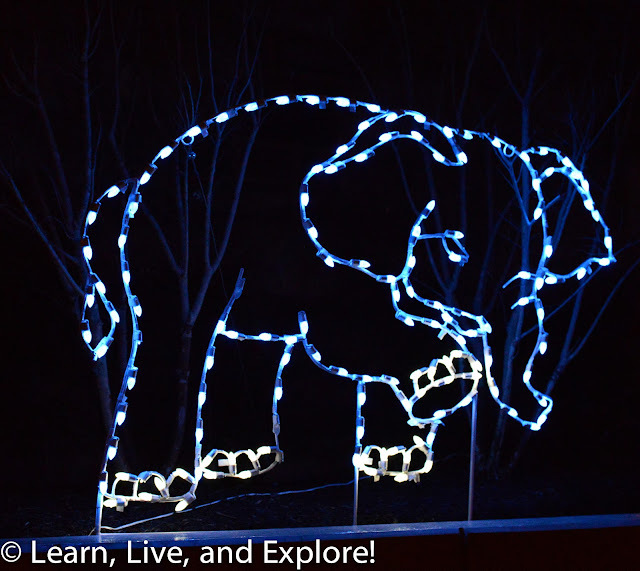 Every year, the National Zoo decorates the grounds with animal themed lights to celebrate the holiday season. I don't know why I have never been in the 11 years I've lived in Washington D.C. because it was a fun experience. 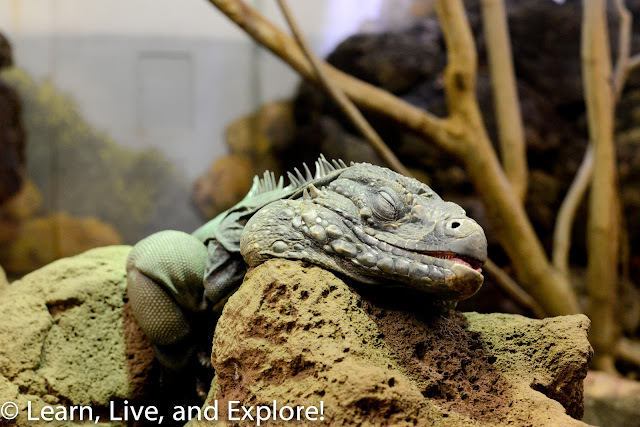 They had a few of the animal houses open, including the ape and reptile house, so you were sure to see real animals, in addition to the lit ones. In addition, there were attractions to make the experience even more fun, including a tubing hill (did it twice! 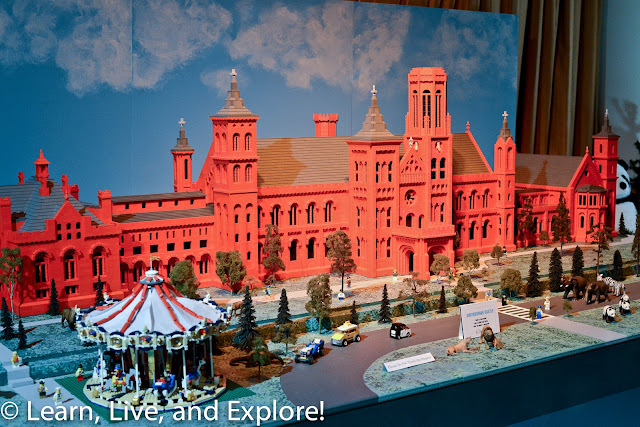 ), the newly reopened carousel, a train ride around the big cats exhibit, and an exhibition of Lego buildings and gingerbread house contest winners. 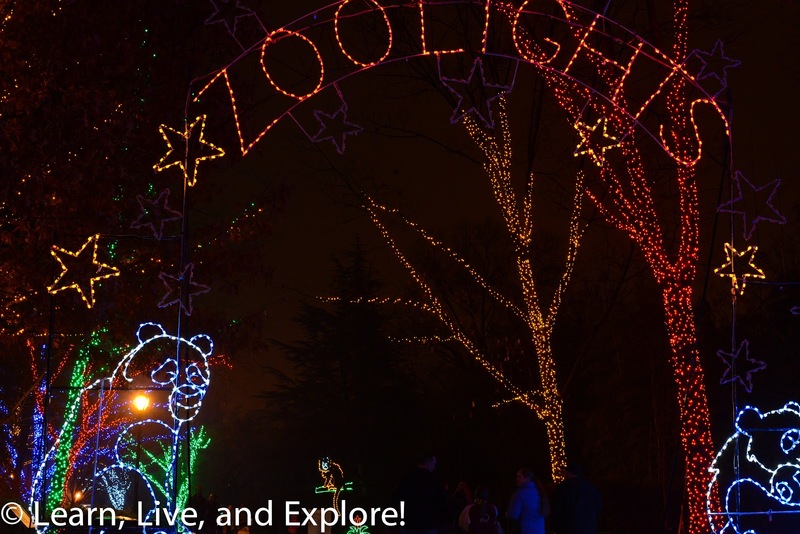 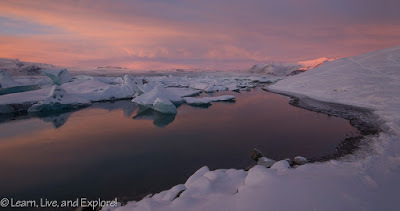 While admission is free, parking and attractions were not. 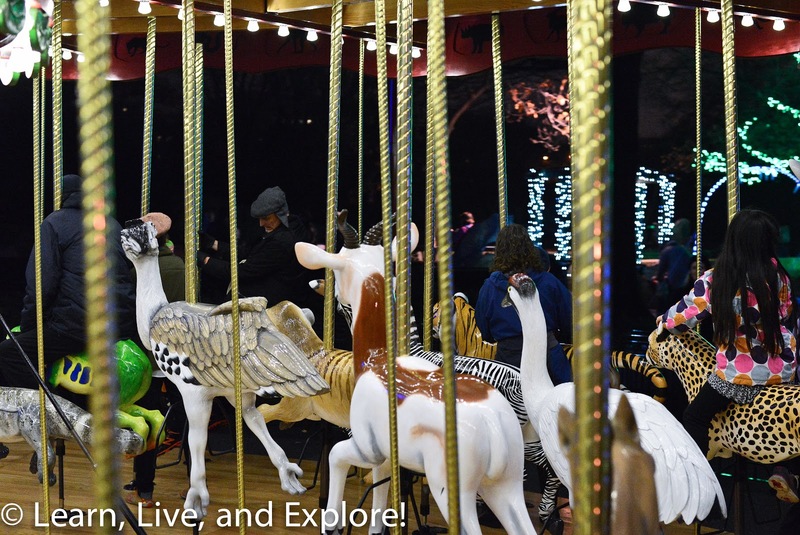 We were fortunate to have purchased a deal on LivingSocial that covered all but the carousel, so keep your eyes open! Don't miss the attractions: animal exhibits, carousel, Legos, and more!